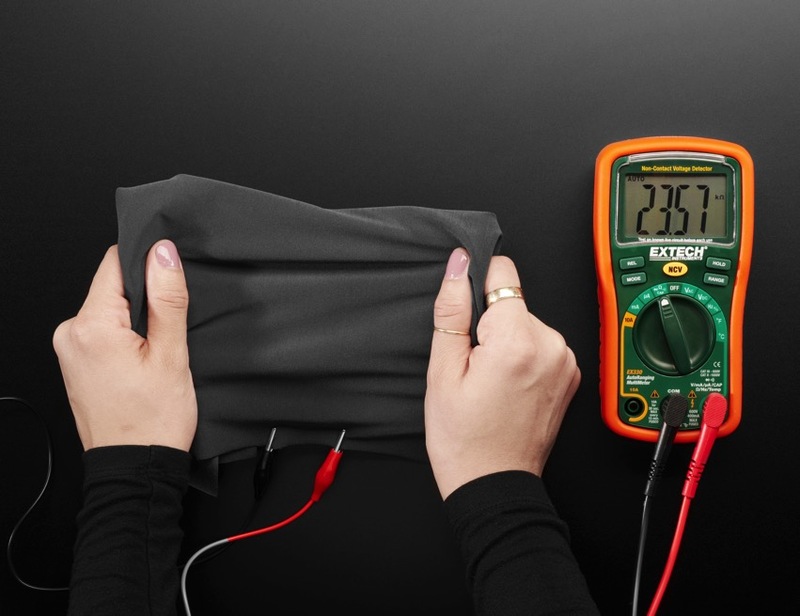 NEW PRODUCTS – EeonTex – High-Conductivity Heater Fabric / Stretchy Variable Resistance Sensor Fabric « Adafruit Industries – Makers, hackers, artists, designers and engineers! We’ve got two new, special fabrics for you from EeonTex! 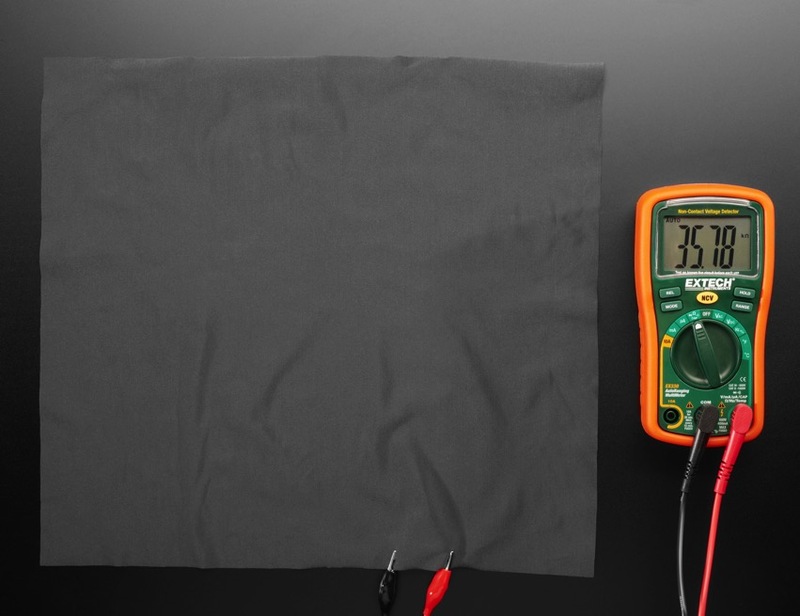 First up, the High-Conductivity Heater Fabric! 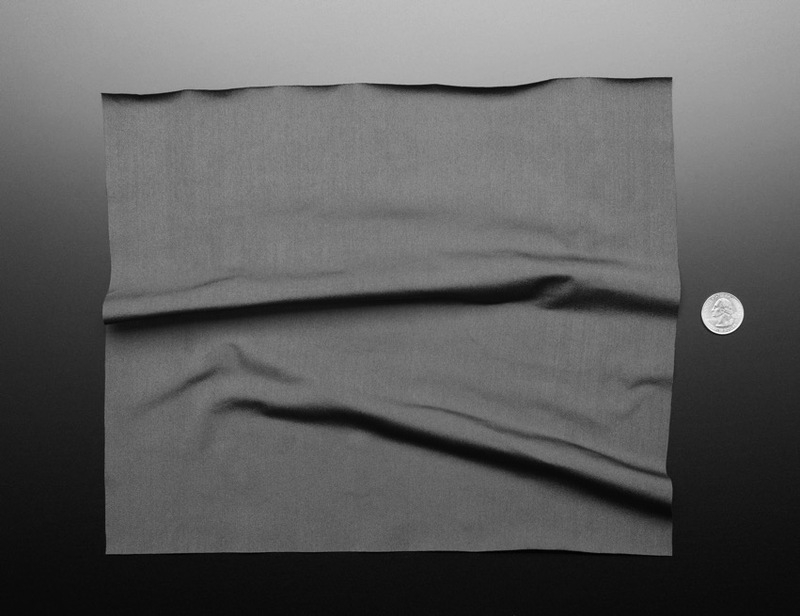 High-conductive heating fabrics are so hot right now! Literally! 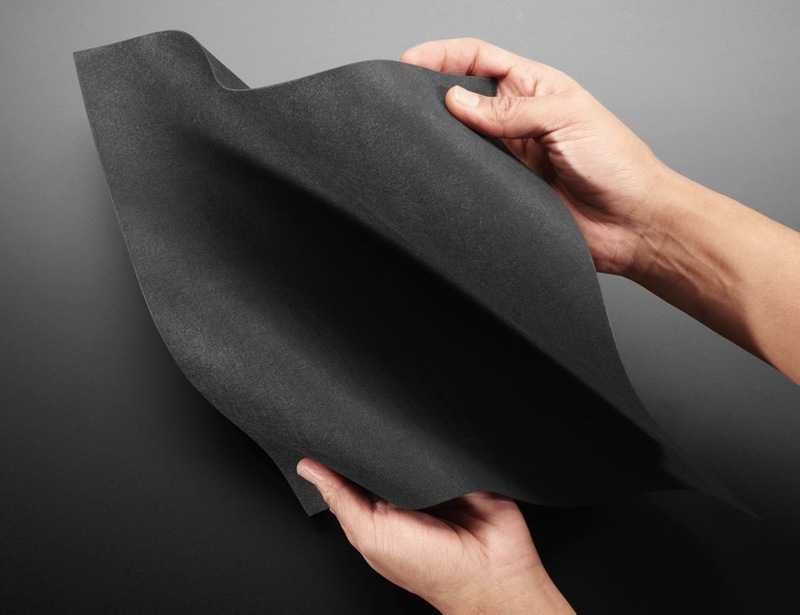 This non-woven fabric feels a little like felted paper but is filled with conductive material that can make the fabric emit heat when powered. 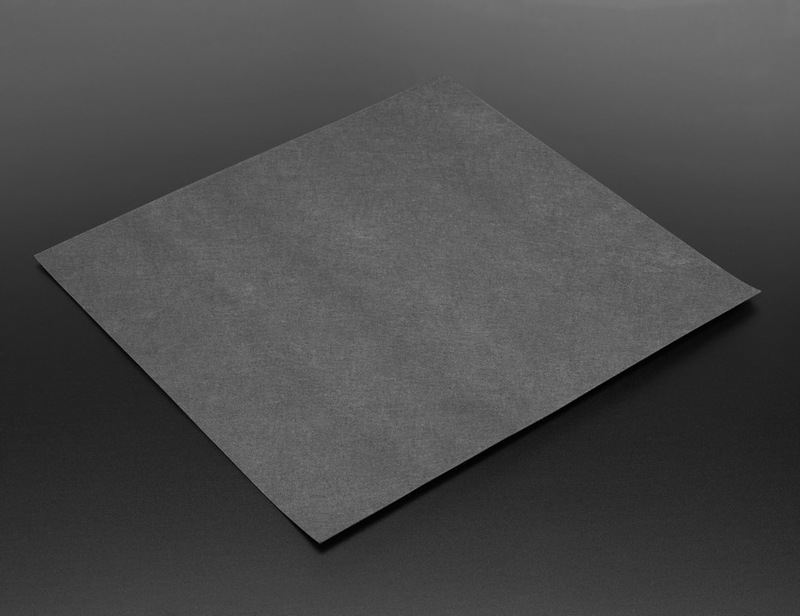 Resistive heating fabrics safely deliver comfortable conductive and radiant heating at low voltage through thin, lightweight and flexible fabric. 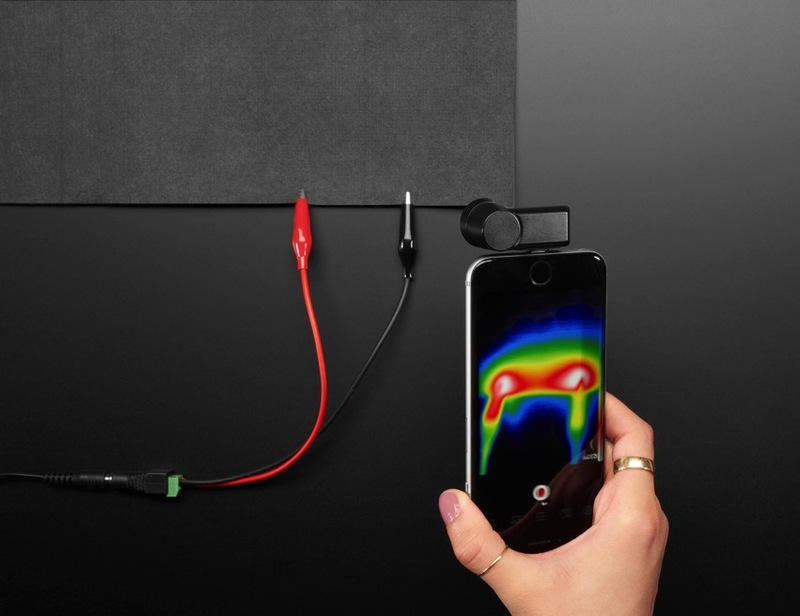 Unlike conventional resistive wire heaters, the whole surface of the fabric is conductive, providing more uniform and foolproof heating without the discomfort, weight and hazards of wires. 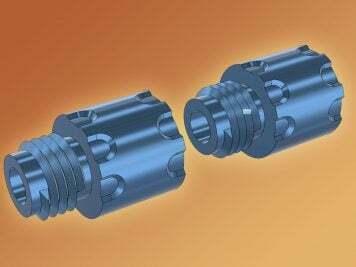 It functions even if punctured, cut, spindled or mutilated! 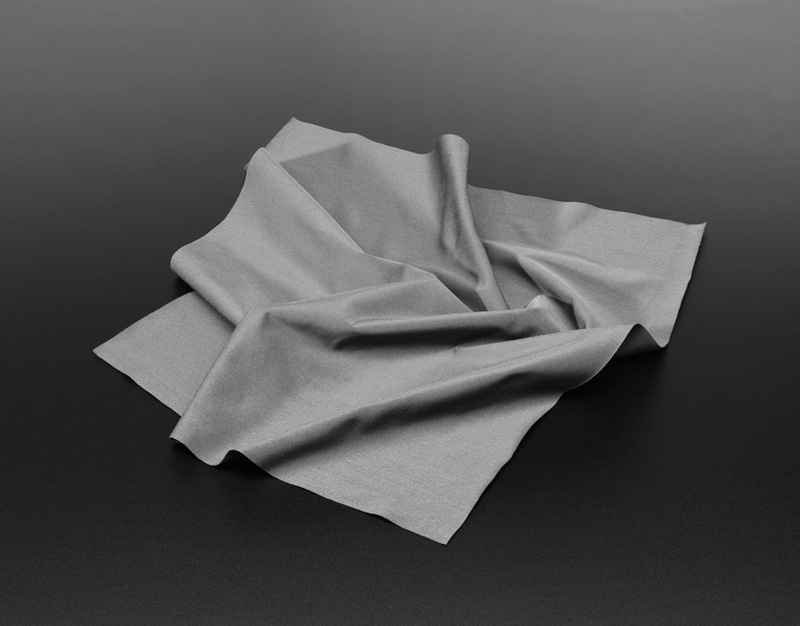 According to EeonTex, this fabric is a conductive, nonwoven microfiber for use in e-textiles as well as electromagnetic and resistive heating applications. Each order comes with one sheet of 12″x13″ inch / 30mm x 33mm fabric with a nominal 0.6mm thickness. This fabric is super versatile and perfect for anyone interested in wearables, cosplay, and e-textiles. Maybe even usable in scientific, crafting, or medical endeavours. This fabric comes with a resistance of 20 ohms/square inch. 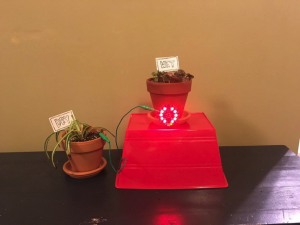 We powered it up with some alligator clips and a 12V DC power plug and it heated up pretty fast! It isn’t going to compare with your space heater, or boil water, but it does get warm. Next up, the Stretchy Variable Resistance Sensor Fabric! 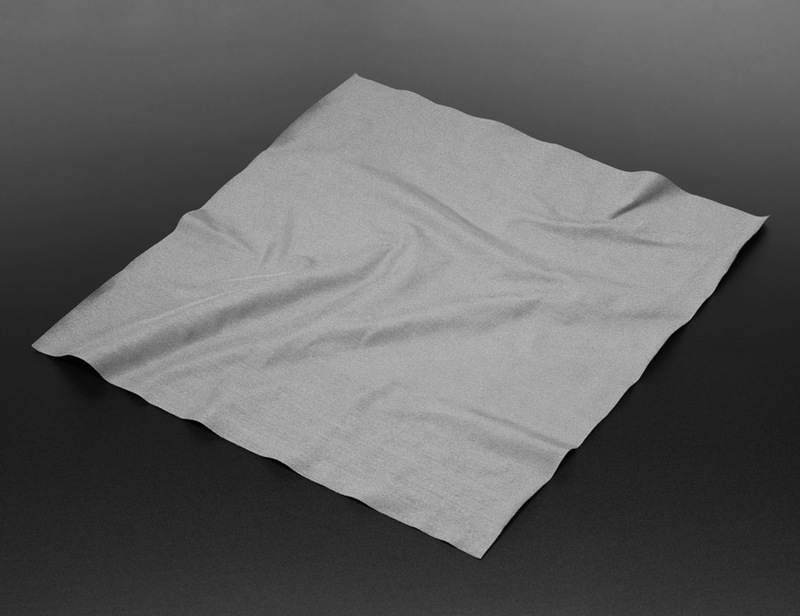 Soft and stretchy, this EeonTex Stretchy Variable Resistance Sensor fabric is great for making soft sensors or wearables that need to adjust and move. 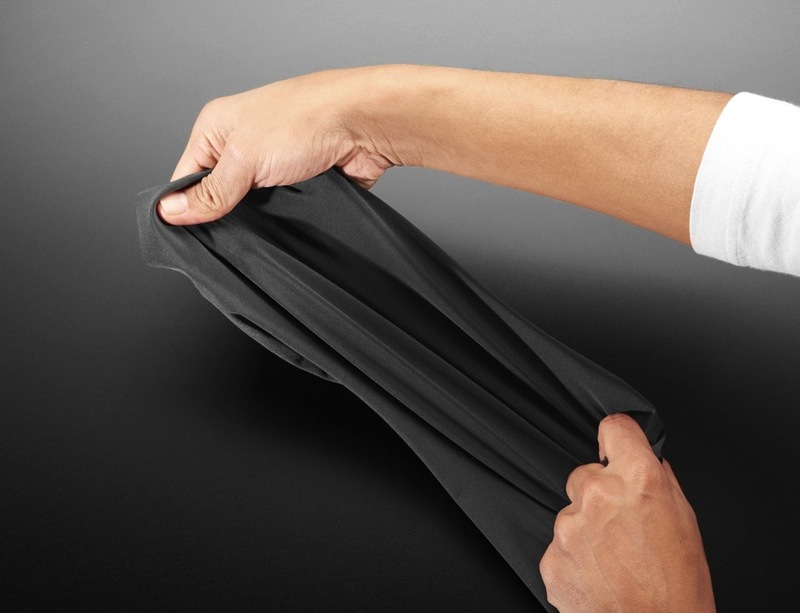 This is a bidirectionally stretchy nylon+spandex fabric coated with a long-lasting conductive coating that changes resistance when you pull on it! It’s perfect for making stretch or strain sensors, by measuring the resistance change from one end of the fabric to the other – you’ll need a resistive divider and analog-reading microcontroller. 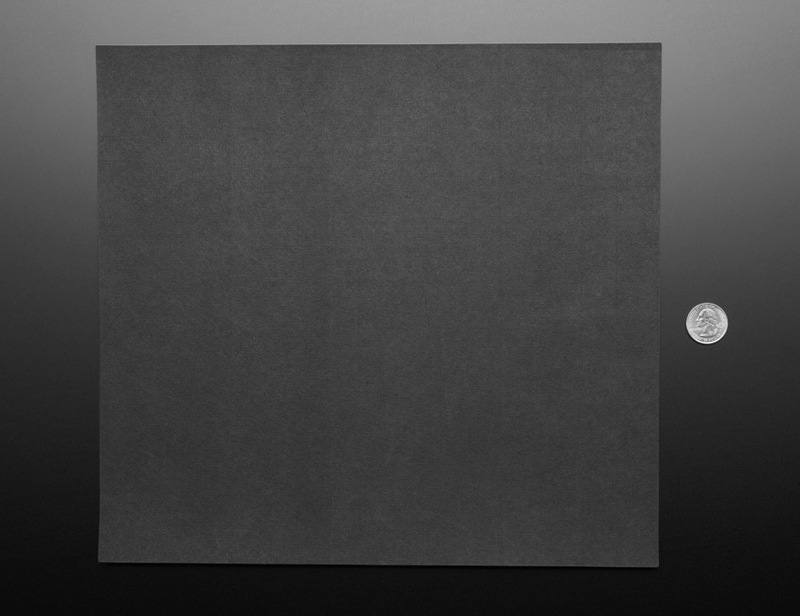 Each order comes with one sheet of 12″x13″ inch / 33 x 30cm fabric with a nominal 0.5mm thickness. The fabric as a soft hand, and is easy to stitch, sew, or serge. Each sheet has a resting 20K-ohm/square inch surface resistivity and decreases to maybe 1/2 that when stretched. It has been tested up to 30 washes with no appreciable change in resistivity.